Readers who like romance with modern, real life circumstances will want to read Tracy Ewens’ Love Story series. As of this writing, there are eight books in the series. Ewens introduces a character in one book and features him or her in another. She has both men and women as the main characters, exploring reasons why a relationship will or won’t work. Though there are some formulaic aspects in the series as we can realistically assume the two love interests will work through their obstacles to find happiness together, Ewens manages to make each story fresh. One way she accomplishes this feat is by having many of the storylines take place at different locations, such as a farm, restaurant, city, beach, college, football arena, political venue and more. The characters have a variety of jobs too, which means Ewens appears to do extensive amounts of research to get it right. Their occupations range from chef to bartender to politician to actor to photographer to computer programmer to farmer. Ewens also represents people at different stages of life, which allows the reader to find someone to relate to. I eagerly await Ewens’ next book, as I am sure it will hold my attention while also teach me something! Just discovered this series. If you like reading about strong female lead characters who have a habit of unintentionally finding dead bodies, then try to solve the crime, this is your series. It is sort of a mix of Stephanie Plum and Hannah Swensen, to name two other similar female leads (authors Evanovich and Fluke, respectively). I liked the pace, the who unknown, the side cast, and the twists. Book one is out now, book two will be released in early June 2016. I liked Swimsuit Body more, but Bones and Roses is good too. I also recommend reading in order, so the side stories make sense and don’t ruin a previous book. Feeling awful after a nasty breakup of a five year relationship while living in Paris, France, Milla returns to the US to start over. She is a chef and finds work in a kitchen that offers stable hours and salary, if not the glamour of a five-star restaurant. While she figures out how to begin again, both personally and professionally, she is also stuck in the past, harping on why her relationship failed. To help her move forward, her best friend and co-worker Jake, encourages her to meet someone new, to get on the horse, so to speak. And so enters Hunter, a handsome single man with his own pile of baggage. The two begin a relationship based on mutual attraction and half-truths, and when reality hits, it hits Milla hard. With her lack of coping skills, she does not know how to handle her growing feelings toward Hunter or his evasion about significant members of his past. Tied into the relationship story, are some noteworthy side characters, including the afore mentioned Jake, as well as Hunter’s brother, mother and best friend, Ivy. There are also some characters who are briefly mentioned but not developed, such as Milla’s family, which does create a little hole in the plot. Jake also has his own side story and though interesting, I found it a little distracting. Overall, the main romantic story and how Milla and Hunter figure out their feelings for one another is a solid read. There are good hints for communicating with someone you care about too. 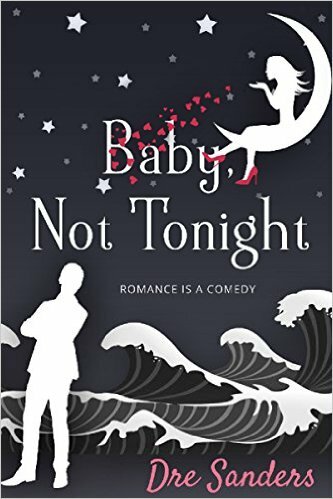 If you are looking for a romantic comedy, b/c there are a few laugh out loud moments in the story, with some depth too, then Baby, Not Tonight is worth checking out.